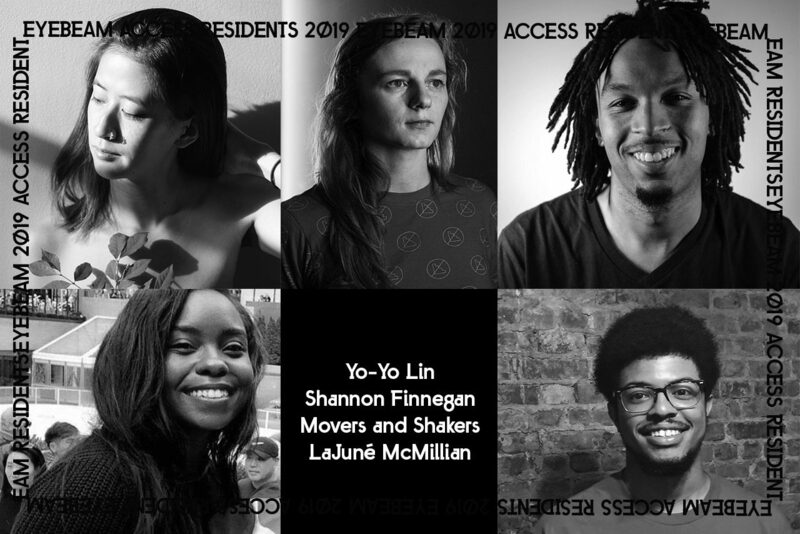 Today, Eyebeam announces it’s selection of 2019 residents, each of whom will focus on issues surrounding access. For the past 20 years, Eyebeam has provided unparalleled support for artists exploring society’s relationship with technology and the new cohort of artists chosen continue to uphold the organization’s mission. The five impact-driven artists, organizers and creative technologists, include LaJuné McMillian, Yo-Yo Lin, Shannon Finnegan, and Movers and Shakers (Glenn Cantave and Idris Brewster). Residents will work on projects that examine how art and technology can challenge dominant systems that exclude and prevent access, in a broad sense. Beginning in November, the year-long residency will provide a $30,000 award, in addition to around-the-clock access to a shared work space. Residents will also be able to work with partner facilities, including NYU LaGuardia, Scatter, and A/D/O. The 2019 Eyebeam residents will join a growing community of nearly 500 dynamic, local and international alums, such as artists Torkwase Dyson, Trevor Paglen, and Cory Arcangel, and entrepreneurs Ayah Bdeir and Jonah Peretti. Eyebeam alums have had broad cultural impact and the 2019 cohort will be given the time, space, and resources to experiment on projects that create more access in tech, society and art. “Every year, Eyebeam invites visionaries to join the residency who are reimagining the potential of technology in our lives, through art. This year we are extraordinarily excited to provide singular, direct support to an incredible group who will now be able to launch projects that put the human experience first,” says Roddy Schrock, Eyebeam’s Executive Director. Using direct action and advocacy campaigns, Movers and Shakers aim to highlight problems that affect marginalized communities. During their Eyebeam residency, the coalition will work on an interactive anthology of poems, illustrations, and AR animations entitled Columbus the Hero? with a focus on telling the story of Christopher Columbus from the oppressed perspective. Each piece of content will come to life with their ‘Movers and Shakers AR’ augmented reality app. Yo-Yo Lin is a media artist who creates audiovisual installation experiences and explores the possibilities of human connection in the context of emerging technologies. While at Eyebeam, Yo-Yo will be researching and developing methodologies in reclaiming and processing chronic health trauma in an effort to create a digital and physical platform that serves as an ongoing documentation and artistic evaluation of active survivors of chronic illnesses. Artist Shannon Finnegan makes work about disability culture and access. Her work is often intended for a disabled audience and reflects the humor, vibrance, and nuance of the community. With a vested interest in exploring how access can be approached creatively and generously, Shannon’s project at Eyebeam will reframe alt-text as a poetic form, tapping into its tremendous expressive potential. She plans to create an alt-text guide and lead alt-text writing workshops, as well as create a series of web-based art projects that can only be experienced by someone using a screen reader. LaJuné McMillian is a new media artist and creative technologist creating art that integrates performance , VR , and physical computing to question our current forms of communication. While at Eyebeam, they will create The Black Movement Project, an online library equipped with 3D black character base models and motion capture data from black performers previously unrepresented in available databases. The Eyebeam residency program is supported, in part, by the National Endowment for the Arts, the Cultural Development Fund of the NYC Department of Cultural Affairs, the Jerome Foundation, and the Atlantic Foundation along with the generosity of Eyebeam’s family of individual givers.